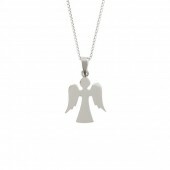 Sterling silver Guardian Angel pendant. 25mm approx. Chain not included, please choose chain separately. Presentation box is optional, please choose from Silver Tide postal sized card box with foam insert or Silver Tide satin lined hinged presentation box. 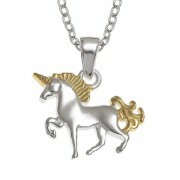 Sterling silver two colour tone Unicorn pendant. 18mm approx. Chain not included, please choose chain separately. Presentation box is optional, please choose from Silver Tide postal sized card box with foam insert or Silver Tide satin lined hinged presentation box. 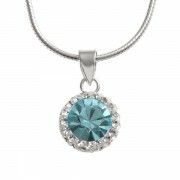 ..
Sterling silver round pendant with inset aqua glass stone surrounded by small clear glass stones. 15mm approx. Chain not included, please choose chain separately. 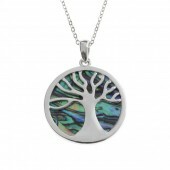 Presentation box is optional, please choose from Silver Tide postal sized card box with foam insert or Silver Tide satin l..
Sterling silver round pendant with inset AB glass stone surrounded by small clear glass stones. 15mm approx. 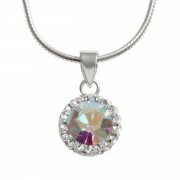 Chain not included, please choose chain separately. 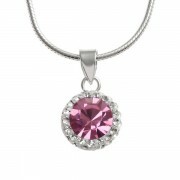 Presentation box is optional, please choose from Silver Tide postal sized card box with foam insert or Silver Tide satin lin..
Sterling silver round pendant with inset rose glass stone surrounded by small clear glass stones. 15mm approx. 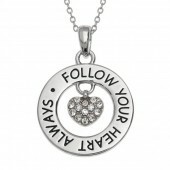 Chain not included, please choose chain separately. 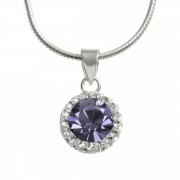 Presentation box is optional, please choose from Silver Tide postal sized card box with foam insert or Silver Tide satin l..
Sterling silver round pendant with inset purple glass stone surrounded by small clear glass stones. 15mm approx. Chain not included, please choose chain separately. 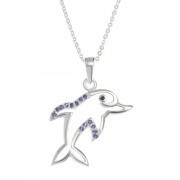 Presentation box is optional, please choose from Silver Tide postal sized card box with foam insert or Silver Tide satin line..
Sterling silver dolphin pendant with inset purple stones. 30mm approx. Chain not included, please choose chain separately. Presentation box is optional, please choose from Silver Tide postal sized card box with foam insert or Silver Tide satin lined hinged presentation box. 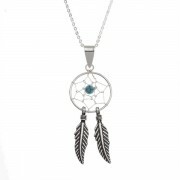 ..
Sterling silver small dream catcher pendant. 42mm approx. 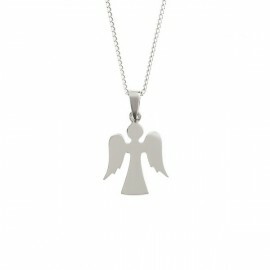 Chain not included, please choose chain separately. Presentation box is optional, please choose from Silver Tide postal sized card box with foam insert or Silver Tide satin lined hinged presentation box. 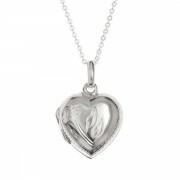 ..
Sterling silver opening Heart locket pendant. 23mm approx. Chain not included, please choose chain separately. Presentation box is optional, please choose from Silver Tide postal sized card box with foam insert or Silver Tide satin lined hinged presentation box. 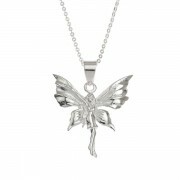 ..
Sterling silver Fairy pendant. 30mm approx. Chain not included, please choose chain separately. Presentation box is optional, please choose from Silver Tide postal sized card box with foam insert or Silver Tide satin lined hinged presentation box. 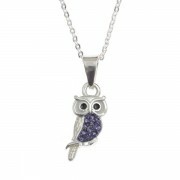 ..
Sterling silver small Owl pendant with purple glass stones. 21mm approx. Chain not included, please choose chain separately. Presentation box is optional, please choose from Silver Tide postal sized card box with foam insert or Silver Tide satin lined hinged presentation box. 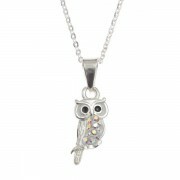 ..
Sterling silver small Owl pendant with AB glass stones. 21mm approx. Chain not included, please choose chain separately. Presentation box is optional, please choose from Silver Tide postal sized card box with foam insert or Silver Tide satin lined hinged presentation box. 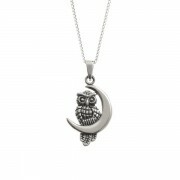 ..
Sterling silver Owl & Moon pendant. 30mm approx. Chain not included, please choose chain separately. Presentation box is optional, please choose from Silver Tide postal sized card box with foam insert or Silver Tide satin lined hinged presentation box. 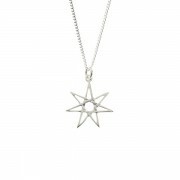 ..
Sterling silver Septagram star pendant. 23mm approx. Chain not included, please choose chain separately. Presentation box is optional, please choose from Silver Tide postal sized card box with foam insert or Silver Tide satin lined hinged presentation box. ..
Sterling silver linked Hearts pendant. 25mm approx. Chain not included, please choose chain separately. Presentation box is optional, please choose from Silver Tide postal sized card box with foam insert or Silver Tide satin lined hinged presentation box. 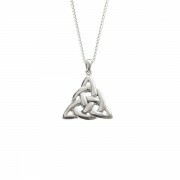 ..
Sterling silver triple Triquetra Celtic pendant. 15mm approx. Chain not included, please choose chain separately. Presentation box is optional, please choose from Silver Tide postal sized card box with foam insert or Silver Tide satin lined hinged presentation box. ..
Sterling silver Guardian Angel pendant. 25mm approx. Chain not included, please choose chain separately. Presentation box is optional, please choose from Silver Tide postal sized card box with foam insert or Silver Tide satin lined hinged presentation box. ..